Imagine your event headlined by BT. How much buzz would booking BT bring to your event? GTB helps customers Book VIP Shows, Corporate Events, & Private Engagements with top talent for hire. GTB represents clients as they book talent like BT for their event. Click to start The Event Booking Process with BT. Brian Transeau (born Brian Wayne Transeau on October 4, 1971, in Rockville, Maryland) is an American musician who records under the stage name BT. Classically trained from the age of 13, he attended Berklee College of Music in Boston for one year before dropping out and moving to Los Angeles, California, and then back to Washington, D.C.
From an early age, BT, demonstrated a remarkable aptitude for playing and understanding classical music. He was heavily influenced by avant-garde and romantic composers such as Stravinsky, Bartok, Debussy and Rachmaninov. BT is a pioneering artist in the trance genre. In recent years he has gained additional fame for producing several Hollywood film scores and the 2001 NSync hit "Pop". BT is known in production circles for his signature technique, the stutter edit, also known as the BT stutter. This technique consists of taking a small sample of a sound and then repeating it in a rhythmic way. When recording with other artists, BT has used the aliases Kaistar, Libra, Dharma, Prana, Elastic Reality, Elastic Chakra, and GTB. After a short and unsuccessful stint in Los Angeles, BT moved back to the Washington, DC area where he had grown up and collaborated there with his friends Ali "Dubfire" and Sharam of Deep Dish in the early 1990s. Transeau's productions were not yet popular in the United States, and he had no idea that he had become a sensation across the Atlantic, where UK DJs like Sasha and Paul Oakenfold were regularly spinning his music for crowds. Sasha bought Transeau a ticket to London, where BT witnessed his own massive success; several thousand clubbers responded enthusiastically when Sasha played his song. He was soon signed to Oakenfold's record label, a subsidiary of Warner Brothers. His British hits at this time were "A Moment of Truth" and "Relativity," and it was during this time in the UK that BT met Tori Amos. BT has often appeared on the lists of the world's top DJs. In 2006, he ranked 73rd on DJ Mag's Top 100 DJ list. In 2005, he ranked 82nd, up from 92 in 2004. Additional rankings were 83rd in 2003 and 76 in 2001. 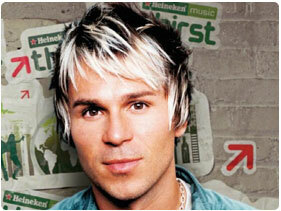 More recently, in DJ Times, BT was ranked as America's second best DJ, as voted by fans. Imagine booking BT for your next big event or party. Think about the exciting atmosphere you'll create. Picture what booking BT would bring to your event. Global Talent Booking can help you push that vision forward. Our entertainment agency will work with you to put the right talent in the right situation. We know what it takes to organize events that exceed everyone's expectations. To learn more about booking BT, please fill out the event inquiry form provided on the site. We'll have an entertainment booking agent contact you immediately. Click for BT Event Booking. GTB is a celebrity talent booking agency for paid events. We do not handle media requests, or interviews. GTB will not relay messages to BT or solicit donations on your behalf. While celebrities do donate their time, they will always charge some kind of fee to do any event, project, venue or celebrity appearance. Booking BT Not Quite Right? We have the entertainer for your Event! Putting together a memorable event isn't easy. Booking BT certainly raises the profile of your show or event. GTB is ready to help you make the event flawless, so your attendees remember BT instead of a mix-up. Private Parties, Concerts, Ceremonies, and any other big events require both planning and personnel; Global Talent Booking can help you every step of the way, from booking to advertising a public BT event. Should you prefer a private BT showing, Global Talent Booking has the tools, connections, and expertise to help you manage a velvet roped evening, elegantly! Global Talent Booking has worked with exemplary talent for over 15 years. Booking BT and other world class entertainers is our expertise. From private concerts featuring some of the most famous names in the music industry to corporate events DJed by the best in the industry, we excel at showcasing your image. GTB is ready to help you book your favorite musicians, djs, and celebrity talent; creating memorable entertainment experiences is what we do everyday. Global Talent Booking Agency services help you with event talent booking. Our services include talent scheduling, contract negotiations, marketing/promotions, agent and/or agency interaction, and so much more. We can help you book BT, advertise a public event or help you manage the guest list. Our event booking services can even include the press work after your BT event. Global Talent Booking is here to help you mind the details so your event with BT is `World Class` the first time, each time, and every time. Our entertainment agency will work with you to put the right talent in the right situation world wide. Global Talent Booking is an International talent booking agency. If you are interested in an international BT event booking, click here to get started. We know what it takes to organize events that exceed everyone's expectations, no matter where they are in the world. We look forward to helping book your`s. Click to Start Booking BT. Celebrity Talent, like booking BT, makes all the difference. Contact our Expert BT Booking Agents. We are ready to help you start coordinating your BT event immediately.